Domestic violence is more prevalent than you may realize. 95% of the cases involve female victims of male partners, but the female often isn’t the only victim. An estimated 3.2 million children living in America witness incidents of domestic violence annually. Witnessing has an array of meanings. 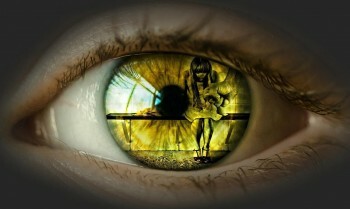 It includes seeing the actual event of physical or sexual abuse occur, hearing threats or other violent noises from another room, observing the aftermath from the abuse like blood, bruises, tears, or broken items, and being aware of the tension in the household like the fear when the abuser is present. 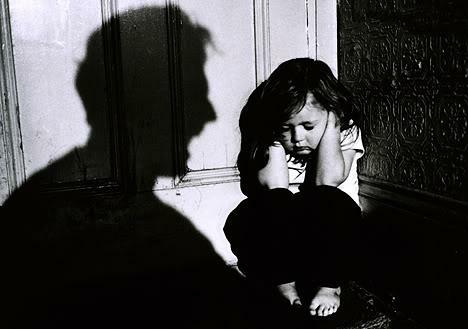 The child is like an extension of their abused parent− when the mother gets abused, it’s like the child gets abused. Here are some of the long-term effects of domestic violence on children. Unfortunately, children aren’t always just witnessing these attacks− sometimes they are on the receiving end of it as well. Other physical symptoms of growing up in a violent home include stomachaches, headaches, bedwetting, and inability to concentrate. Experts believe that children who grow up in abusive homes think that violence is an effectual way to resolve conflicts and solve problems. This may result in the child replicating the violence and intimidation that they witnessed when they were younger in their teen and adult relationships, and can lead to the cycle of violence with their children. Reliving the event: Memories of the event can resurface at any given moment, evoking the same feelings of fear and horror that occurred during the actual event. Nightmares, flashbacks, and triggers like seeing, hearing, or smelling something that causes the child to relive the traumatic event are forms of these re-experiencing symptoms. Avoiding situations that remind the child of the event: The child may try to avoid situations or people that trigger those memories of a past event of domestic violence. They may keep busy or avoid seeking help because it keeps them from having to think or talk about the event. Negative changes in beliefs and feelings: The self-image the child possessed may change, as well as the way they view others. There are many aspects to this symptom, including a belief that the world is completely dangerous and no one can be trusted, or a lack of loving or positive feelings in relationships. Hyperarousal: The child may be jittery, irritable, angry, or always alert and on the lookout for danger. Trouble sleeping and concentrating may occur, or they may be startled by loud noises or surprises. If you relocate as a result of a domestic violence situation, be aware that even moving to a new place can have emotional effects on children. If they’re removed from a familiar school or friends, they may face depression and other challenges. This should be addressed in any kind of therapy. Often a matter of coping with the domestic violence and the consequences it brings, children who experience violent and traumatic events use drugs and alcohol to numb the pain and block out the memories. Substance abuse is most likely a learned behavior. Regular alcohol abuse is one of the leading risk factors for partner violence, and the risk of violence increases when both partners abuse drugs or alcohol. There are numerous organizations that offer several avenues for child victims of domestic violence to address their issues and attempt to heal. Group and individual therapy, as well as dyadic treatments with their non-offending parent are essential components of intervention. The National Domestic Violence Hotline for victims is 1-800-799-SAFE (7233). Their website, www.thehotline.org, provides information about local programs or resources available. Domestic Violence: Child Abuse and Intimate Partner Violence is a 2-hour online continuing education (CE) course intended to help healthcare professionals maintain a high state of vigilance and to be well prepared with immediate and appropriate responses when abuse is disclosed. How Children Become Violent is a 6-hour online continuing education (CE) course that was written for professionals working in the mental health, child welfare, juvenile justice/criminal justice, and research fields, as well as students studying these fields. The authors’ goal is to make a case for the fact that juvenile and adult violence begins very early in life, and it is both preventable and treatable. Improving Cultural Competence in Substance Abuse Treatment is a 4-hour online continuing education (CE) course that proposes strategies to engage clients of diverse racial and ethnic groups in treatment. PTSD Vicarious Traumatization: Towards Recognition & Resilience-Building is a 2-hour online continuing education (CE) course that outlines some of the basic differences between primary traumatization, secondary traumatization, VT, and compassion fatigue; discusses many of the signs and symptoms of VT; provides questions for self-assessment of VT; and provides coping suggestions for providers who are involved in trauma work or those who may have VT reactions. Professional Development Resources is a nonprofit educational corporation 501(c)(3) organized in 1992. Our purpose is to provide high quality online continuing education (CE) courses on topics relevant to members of the healthcare professions we serve. We strive to keep our carbon footprint small by being completely paperless, allowing telecommuting, recycling, using energy-efficient lights and powering off electronics when not in use. We provide online CE courses to allow our colleagues to earn credits from the comfort of their own home or office so we can all be as green as possible (no paper, no shipping or handling, no travel expenses, etc.). Sustainability isn’t part of our work – it’s a guiding influence for all of our work. We are approved to offer continuing education by the American Psychological Association (APA); the National Board of Certified Counselors (NBCC); the Association of Social Work Boards (ASWB); the American Occupational Therapy Association (AOTA); the American Speech-Language-Hearing Association (ASHA); the Commission on Dietetic Registration (CDR); the Alabama State Board of Occupational Therapy; the Florida Boards of Social Work, Mental Health Counseling and Marriage and Family Therapy, Psychology & School Psychology, Dietetics & Nutrition, Speech-Language Pathology and Audiology, and Occupational Therapy Practice; the Ohio Counselor, Social Worker & MFT Board and Board of Speech-Language Pathology and Audiology; the South Carolina Board of Professional Counselors & MFTs; the Texas Board of Examiners of Marriage & Family Therapists and State Board of Social Worker Examiners; and are CE Broker compliant (all courses are reported within one week of completion). It can be difficult to diagnose a substance abuse problem and a co-occurring mental health disorder such as depression, anxiety, or bipolar disorder. It takes time to tease out what might be a mental disorder and what might be a drug or alcohol problem. Complicating the issue is denial. Denial is common in substance abuse. It’s hard to admit how dependent you are on alcohol or drugs or how much they affect your life. Denial frequently occurs in mental disorders as well. 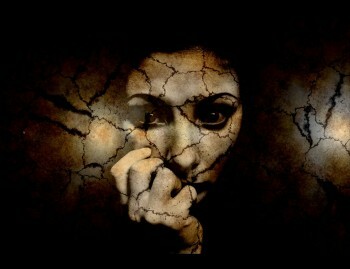 The symptoms of depression or anxiety can be frightening, so you may ignore them and hope they go away. Or you may be ashamed or afraid of being viewed as weak if you admit the problem. Just remember: substance abuse problems and mental health issues don’t get better when they’re ignored. In fact, they are likely to get much worse. You don’t have to feel this way. Admitting you have a problem is the first step towards conquering your demons and enjoying life again. Consider family history. If people in your family have grappled with either a mental disorder such as depression or alcohol abuse or drug addiction, you have a higher risk of developing these problems yourself. Consider your sensitivity to alcohol or drugs. Are you highly sensitive to the effects of alcohol or drugs? Have you noticed a relationship between your substance use and your mental health? For example, do you get depressed when you drink? Look at symptoms when you’re sober. While some depression or anxiety is normal after you’ve stopped drinking or doing drugs, if the symptoms persist after you’ve achieved sobriety, you may be dealing with a mental health problem. Review your treatment history. Have you been treated before for either your addiction or your mental health problem? Did the substance abuse treatment fail because of complications from your mental health issue or vice versa? If you’re wondering whether you have a substance abuse problem, the following questions may help. The more “yes” answers, the more likely your drinking or drug use is a problem. Have you ever felt you should cut down on your drinking or drug use? Have you tried to cut back, but couldn’t? Do you ever lie about how much or how often you drink or use drugs? Have your friends or family members expressed concern about your alcohol or drug use? Do you ever felt bad, guilty, or ashamed about your drinking or drug use? On more than one occasion, have you done or said something while drunk or high that you later regretted? Have you ever blacked out from drinking or drug use? Has your alcohol or drug use caused problems in your relationships? Has you alcohol or drug use gotten you into trouble at work or with the law? The mental health problems that most commonly co-occur with substance abuse are depression, anxiety disorders, and bipolar disorder. The best treatment for co-occurring disorders is an integrated approach, where both the substance abuse problem and the mental disorder are treated simultaneously. Whether your mental health or substance abuse problem came first, recovery depends on treating bothdisorders. There is hope. Recovering from co-occurring disorders takes time, commitment, and courage. It may take months or even years b ut people with substance abuse and mental health problems can and doget better. Combined treatment is best. Your best chance of recovery is through integrated treatment for both the substance abuse problem and the mental health problem. This means getting combined mental health and addiction treatment from the same treatment provider or team. Relapses are part of the recovery process. Don’t get too discouraged if you relapse. Slips and setbacks happen, but, with hard work, most people can recover from their relapses and move on with recovery. Peer support can help. You may benefit from joining a self-help support group like Alcoholics Anonymous or Narcotics Anonymous. They give you a chance to lean on others who know what you’re going through and learn from their experiences. In this course, the author offers in-depth and in-person strategies for therapists to use in working with clients who present with the characteristic behavior patterns of codependency. Clients are usually unaware of the underlying codependency that is often responsible for the symptoms they’re suffering. Starting with emphasis on the delicate process of building a caring therapeutic relationship with these clients, the author guides readers through the early shame-inducing parenting styles that inhibit the development of healthy self-esteem. Through personal stories and case studies, the author goes on to describe healing interventions that can help clients identify dysfunctional patterns in relationships, start leading balanced lives and connecting with others on a new and meaningful level. Evaluative questionnaires, journaling assignments and other exercises are included to help you help your clients to overcome codependency. The rewards of successfully treating codependency are great for client and clinician alike. Even though the propensity for relapse always exists, it’s unlikely that a person who has made significant progress towards overcoming this disease will lose the gains they’ve made. Culture is a primary force in the creation of a person’s identity. Counselors who are culturally competent are better able to understand and respect their clients’ identities and related cultural ways of life. This course proposes strategies to engage clients of diverse racial and ethnic groups (who can have very different life experiences, values, and traditions) in treatment. The major racial and ethnic groups in the United States covered in this course are African Americans, Asian Americans (including Native Hawaiians and other Pacific Islanders), Latinos, Native Americans (i.e., Alaska Natives and American Indians), and White Americans. In addition to providing epidemiological data on each group, the course discusses salient aspects of treatment for these racial/ethnic groups, drawing on clinical and research literature. While the primary focus of this course is on substance abuse treatment, the information and strategies given are equally relevant to all types of health and mental health treatment. 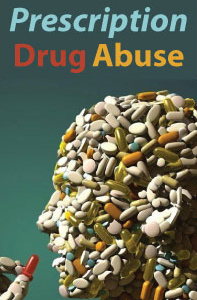 Prescription drug abuse is on the rise. Pharmaceuticals like OxyContin®, Adderall®, and Xanax® are some of the most commonly abused prescription drugs. For some prescription drug addicts, medication was originally taken as prescribed – until they started developing a tolerance for it. For others, members of their peer group began to abuse prescription drugs because they are easily accessible and relatively inexpensive on the street. Prescription drug abuse also affects those who don’t use – through increased costs and the inconveniences of increased security at pharmacies. Treatment is comprised of a series of steps, including detoxification, inpatient/outpatient treatment, and maintenance. In some cases, patients must be closely monitored because of the potential for withdrawal effects. Once treatment is completed, there are various options for maintaining sobriety. Laws are being tightened, and some medications have become difficult to find due to the increased rate of prescription drug abuse. Data on alcohol use, abuse, and dependence show clear age-related patterns. Moreover, many of the effects that alcohol use has on the drinker, in both the short and long term, depend on the developmental timing of alcohol use or exposure. Many developmental connections have been observed in the risk and protective factors that predict the likelihood of problem alcohol use in young people. This course is based on four public-access journal articles published by the National Institute on Alcohol Abuse and Alcoholism in the online journal Alcohol Research & Health. The issue of the journal in which these articles appeared was devoted to the topic: “A Developmental Perspective on Underage Alcohol Use.” This course is based on the first four articles, which focus on the impact of alcohol on the development of children and youth from birth through 20. Professional Development Resources is approved to offer continuing education by the American Psychological Association (APA); the National Board of Certified Counselors (NBCC); the Association of Social Work Boards (ASWB); the American Occupational Therapy Association (AOTA); the American Speech-Language-Hearing Association (ASHA); the Commission on Dietetic Registration (CDR); the Alabama State Board of Occupational Therapy; the Florida Boards of Social Work, Mental Health Counseling and Marriage and Family Therapy, Psychology & School Psychology, Dietetics & Nutrition, Speech-Language Pathology and Audiology, and Occupational Therapy Practice; the Ohio Counselor, Social Worker & MFT Board and Board of Speech-Language Pathology and Audiology; the South Carolina Board of Professional Counselors & MFTs; and by the Texas Board of Examiners of Marriage & Family Therapists and State Board of Social Worker Examiners. 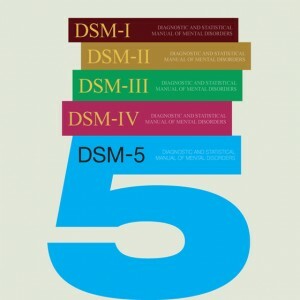 DSM-5: The End of One-Size-Fits-All Addiction Treatment? When the dust of debate settles, the new revision’s benefits should be clear: good science, better diagnoses, more individualized care. Sometime this month, the DSM-5 will replace the DSM-IV as the coin of the realm for diagnosis of mental illnesses, including substance use disorders. Despite the unprecedented criticism that has accompanied the process, the final product’s changes are based on very solid epidemiological research, and they are likely to reduce ambiguity and confusion. But there may be some surprise, too, as received wisdom about the diagnosis and treatment of addiction is turned on its head. Let’s hope that this development will result in a more rational and nuanced approach to addiction. When the DSM-IV was developed, it appeared that abuse and dependence were two distinct disorders. 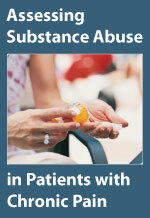 Substance abuse was defined according to four criteria; dependence, according to seven criteria. In practice, “abuse” was often used to denote a milder form of Substance Use Disorder (SUD); “dependence,” a more severe SUD. In the case of opioids, “dependence” was confusing because almost anyone on opioid-based painkillers for any length of time develops physiological dependence (they will have withdrawal if they stop suddenly), whereas in the DSM-IV, “dependence” meant “addiction” (pathological, compulsive, harmful use). So pain patients prescribed opioids were mislabeled as opioid “dependent” even though they took their medication as prescribed. With alcohol, for example, the earliest and most common problems are “internal” problems, such as going over limits, persistent desire to quit or cut down, and use despite hangover or nausea. The only “abuse” criterion that develops early is drinking and driving, but without a DUI. In the largest study of its kind, the NIAAA Epidemiological Study of Alcohol and Related Conditions (NESARC), 90 percent of people who met criteria for DSM-IV alcohol abuse—but not dependence—did so because of admitting drinking and driving. All other abuse criteria only occurred in people with the most severe and chronic addiction, and then late in the game. In fact, legal problems occur so infrequently that this criterion was dropped from theDSM-5. This may come as a surprise to people working in the treatment industry because legal problems are the most common reason people seek treatment in rehab. But only about 12 percent of people with DSM-IV alcohol dependence ever seek specialty treatment, which suggests that the rest—who are not in treatment—have less severe disorders. People in rehab or AA are to alcohol use disorder what asthmatics on a ventilator in the ICU are to people with asthma: the most severe, treatment-refractory disorders as well as the most co-morbid psychiatric and medical problems. We’ve made a large error by assuming that everyone in the community who meets the criteria for a substance disorder has exactly the same disease as people in rehab or AA. For 25 years, April has been recognized as Alcohol Awareness Month. So how does this campaign continue to be of value after all of these years? Alcohol misuse and abuse still have a tremendous impact on our country today. As prom and graduation season are beginning to unfold, April is also a key month in which to highlight the dangers of underage drinking, as well as increase public awareness and understanding about alcohol. In 2010, more than 10,000 people died in alcohol-impaired driving crashes – one every 51 minutes (National Highway Traffic Safety Administration, 2012). Alcohol is the number one drug of choice for America’s young people, more than tobacco or illicit drugs, and underage alcohol use alone costs the nation an estimated $62 billion annually (National Council on Alcoholism and Drug Dependence, Inc., 2012). More than 14 million people in this country are currently living with what can be defined as an addiction to alcohol. Each year, more than 100,000 people die as a result of alcohol-related issues. 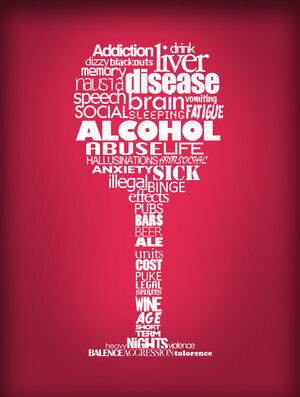 Every year, more than 13,000 people die as a result of liver disease related to alcoholism (rehabinfo, 2012). As indicated by these statistics, alcohol is still creating a widespread problem of serious personal, physical, social and economic consequences. Yet, at the same time, there are many misconceptions about alcohol use, abuse and alcoholism today. One common misconception is that alcoholics lack willpower, and they could quit if they really wanted to stop drinking. This statement couldn’t be further from the truth. Unfortunately, misinformation, as well as stigma, is often perpetuated through peers, media, family and individual experimentation. What is important to know and be aware of is that changes occur within the mind and body when alcohol is consumed, regardless of the amount. Therefore, even when drinking in moderation, there can be subsequent consequences (National Institutes of Health). Even small amounts of alcohol consumed during pregnancy or combined with certain medications may result in significant adverse consequences and therefore is considered risky drinking (National Institute on Alcohol Abuse and Alcoholism, 2003). The craving a person with alcoholism feels for alcohol can be as strong as the need for food or water. A person addicted to alcohol will continue to drink despite serious family, health or legal problems. Like many other diseases, alcoholism is chronic, meaning it lasts a person’s lifetime, usually follows a predictable course and has symptoms. The risk for developing alcoholism is influenced both by a person’s genes and by his or her lifestyle (National Institute on Alcohol Abuse and Alcoholism, 2012). Alcoholism can be treated. Alcoholism treatment programs use both counseling and medications to help a person stop drinking. Treatment has helped many people stop drinking and rebuild their lives (National Institute on Alcohol Abuse and Alcoholism, 2012). Sadly, there are some who perpetuate the belief that alcoholism is not a disease and pure speculation. (Baldwin Research Institute, 2010). The disease of alcoholism and the consequences of alcohol abuse can be deadly. Alcohol Awareness Month provides a focused opportunity to increase awareness and understanding of alcoholism, its causes, effective treatment and recovery. It is an opportunity to decrease stigma and misunderstandings in order to dismantle the barriers to treatment and recovery, and thus, make seeking help more readily available to those who suffer from this disease. This is the value of Alcohol Awareness Month. In a survey of 196 men and women being treated for alcohol dependence, almost one-quarter of men and one-third of women reported a history of childhood physical abuse. Abuse in childhood appears to be a particularly strong risk factor for developing alcohol addiction later in life, researchers reported Thursday. Alcohol dependence is linked to many risk factors — including genetics, drinking in adolescence and having other mental health disorders. A history of physical, sexual or emotional abuse in childhood is known to be another risk factor. The new study, however, shows how strong this link could be. Researchers at the National Institute on Drug Abuse surveyed 196 men and women who were inpatients being treated for alcohol dependence. Almost one-quarter of men and 33% of women reported a history of childhood physical abuse while rates of sexual abuse were 12% for men and 49% for women. In addition, the study found that sexual abuse raised the risk of also developing anxiety disorder and emotional abuse increased the risk of developing depression. People who were physically abused in childhood and became alcohol dependent were more likely to have a history of suicide attempts. Alcoholics who experience more than one type of childhood abuse were more likely to develop another psychiatric disorder or to attempt suicide. The study suggests how important trauma assessment is in alcohol-treatment services, the authors said. The study appears in the journal Alcoholism: Clinical & Experimental Research. I often am asked questions regarding the ethical issues for counselors regarding social networking, specifically Facebook. At that point I usually hear about a situation that has caused professional and personal problems for an addictions professional. In each scenario that follows names have been changed and situations modified to protect the identity of those involved. Danny is a substance abuse counselor who decided to join Facebook for a specific reason: he wanted to look up clients to see if they were posting information on Facebook that would indicate they were using. What are the Ethical Concerns? Client autonomy: Clients in treatment have a right to choose whether to use alcohol or other drugs. As a counselor would you drive by a client’s house to see if that client is sitting on the front porch smoking a joint? Clients have a right to their personal lives outside of treatment, whether or not it is what we would choose for them. Counseling relationship: Trust is a major component of the counseling relationship. A client could consider it a violation of that trust to “spy” on him on Facebook. Before the advent of Facebook, a counselor asked clients if they were using and conducted drug screens. Should our methods be any different today? Do no harm: Is there the possibility that such actions could harm a client? We must always consider the possible outcomes of our actions when it involves client care. A client could possibly feel betrayed by her counselor if such “investigation” is pursued by the counselor. Professional boundaries: One of our responsibilities as counselors is to have healthy professional boundaries. These boundaries can easily become blurred if or when we begin to intrude on the personal lives of clients outside the professional relationship. Just as we need to set appropriate boundaries with clients regarding our personal Facebook pages, we too should respect their boundaries. Mary Beth was a counselor at a large addictions treatment facility. She is not in recovery from drug or alcohol addiction. She had recently returned from a vacation at the beach. A client of one of Mary Beth’s colleagues at the same facility mentioned during an individual session that he had been searching people on Facebook and found Mary Beth’s page. He stated, “I really liked those pictures of her vacation.” After the client left, his counselor looked up Mary Beth on Facebook to see what the client was referring to. To her dismay she found that Mary Beth had no security on her page and all of her information was open to anyone who came across it. Additionally, she had posted pictures of herself in a bikini, holding a beer in her hand, with a male companion who appeared to be fondling her. Mary Beth was fired from her job. The agency maintained that she was not projecting a professional image and was negatively affecting the reputation of the agency. Counseling relationship: What did the pictures portray to clients and colleagues who saw them on her Facebook page? We have a responsibility to safeguard the integrity of our relationship with clients. (NAADAC Code of Ethics, Principle I) Part of this safeguard is to always being aware of perceptions and how those perceptions may change the professional relationship with a client. Discretion: Mary Beth’s actions in regards to Facebook appear to be poor professional judgment. She certainly has a right to her personal life and to enjoy herself. On the other hand, professional judgment includes how we conduct ourselves in public, even in our leisure time which includes what we post on a Facebook page for all to view. Do no harm: Although Mary Beth is not in recovery herself, the posting of the picture of her drinking may cause undue influence on clients to assume that if it is OK for a counselor to participate in these activities that it must be acceptable for them also. Or clients may believe that Mary Beth is not “practicing what she preaches”. Again, often we are talking about perceptions which may not always be reality. Carla is in private practice working as a substance abuse professional. She recently joined Facebook and being a very social person, enjoys the interactions each evening with her Facebook friends. One of those friends is a counselor at a local substance abuse in-patient facility. For the past few evenings Carla has noticed that her friend has begun to post information about clients she has seen that day, funny things they have done or unusual crises they have experienced. Although her friend is not stating client names she has told others where she works. Confidentiality: We are to make every effort to protect the confidentiality of client information. (NAADAC Code of Ethics, Principle III) Carla’s friend has stated where she works and now she is talking about clients of that facility. She is not honoring confidentiality, even though she is not stating client identifying information. She may inadvertently be giving enough information that someone could deduce to whom she is referring. This is also a violation of client rights and their expectation that their information will be protected. Due diligence: We are to be conscientious and careful in all of our actions when it concerns clients and our professional life. We, as professional counselors, should make every effort to avoid “gossiping” about clients. It is possible that, unbeknownst to this counselor, a client may be a “friend of a friend” on Facebook and actually can see what this counselor is posting and recognizes that the counselor is telling her story. Legal concern: Carla is bound under 42 CFR Part 2 and HIPAA to make every reasonable effort to protect client information. This type of behavior could result in litigation. Martin has been having a difficult time at work lately. It is increasingly more stressful with an increased number of clients who are exhibiting more severe symptoms, fewer staff and fewer resources. He has recently been having disagreements with his supervisor. He has also begun to post his “venting” on his Facebook page. Discretion: As professionals we have an obligation to use utmost discretion in all of our professional life. Ethically, Martin would be well served to seek other supervision or peer support in his stressful situation rather than venting on his Facebook page. Professional relationships: Martin is not building, supporting or treating his professional relationships respectfully. As professionals we are to respect other professionals by going to them when we have problems that are affecting us. I have heard many accounts of people losing their jobs as a result of airing their complaints about their jobs and employers on Facebook. Situation 5 – Compromised Testimonials? A 12 step focused residential treatment facility developed a Facebook page as a means of advertising. It is also a means for keeping a connection with former clients. These former clients may also write comments on their experience with the treatment program. 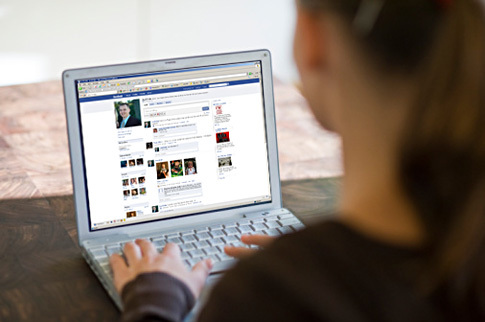 Recently the administrator contacted former clients requesting that they post testimonials on Facebook. A counselor conducting patient aftercare was made aware of the request and was concerned about confidentiality. Informed consent and Confidentiality: In this situation clients need to be fully informed about the risks of posting testimonials on Facebook. If they do post voluntarily, they should be informed of the risk of confidentiality being compromised. Due Diligence: This treatment facility, as well as the counselor who was made aware of the request, have an obligation to be diligent in the care of clients and sensitive client information. Exploitation: Is the facility using client testimonials to help others who are suffering with addictions or are they using this to further their business and bring in revenue? The concern here is whether or not it is exploiting clients to ask them to help in marketing a program by posting personal testimonials about their treatment experience. Clients may not understand the far-reaching outcomes of this course of action. Treatment programs need to consider all aspects of their decisions to use media such as Facebook to market their programs. Often I hear professionals say that they hesitate to report unethical behavioral because they are friends with the person or they don’t want to hurt the other person’s career. As licensed or certified professionals, we have an ethical and legal obligation to report unethical behavior that cannot be resolved or that is such an egregious violation that it is beyond being resolved. As technology grows and becomes more and more available, we as professionals must always consider the ramifications of our actions when using any technology, including social network sites such as Facebook. When ethics are violated, we have an obligation to address the issue and report to licensure boards when necessary. Be true to yourself, your profession and your colleagues. Pop legend Whitney Houston was apparently found unresponsive in her bathtub at the Beverly Hilton Hotel, with bottles of prescription sedatives in her room. The cause of the singer’s death at age 48 has not been confirmed as an overdose — and the results of a toxicology report may not be available for weeks — but the circumstances bear many of the hallmarks of such a death. Like most overdose victims, Houston had a long history of addiction. Her ongoing and distressingly intense battle with cocaine had received extensive media coverage. She had tried rehab at least three times; her latest stay was last May. Like her, the majority of overdose victims typically attempted rehab previously. Victims of unintentional overdose also show clear signs of drug misuse before or at the time of their death. In a 2008 study in West Virginia — a state with a high rate of overdoses — researchers found signs of drug misuse, including shooting drugs intended to be taken orally or drinking alcohol while taking depressant drugs like Xanax, in 95% of the deaths. In the days before Houston’s death, she was seen drinking excessively — something that is not recommended for people who are in recovery from other addictions, especially if they’ve only recently left rehab. Some people find that their addictions are limited to particular substances, but for many others, alcohol increases the likelihood that they’ll return to their drug of choice. Alcohol — even just one drink — tends to lower inhibitions, which can thwart people’s ability to avoid taking other drugs. Houston’s age also fits the profile of typical overdose victims. Although we think of drug abusers as invariably young, there are actually three periods during addiction, at different ages, when death risks are highest. The first is when the user is inexperienced — which does tend to apply to young people — but these deaths are much less common than in older users. The second risk period is just after of a bout of abstinence, whether the person is forcibly made (as in prison) or volunteers to stop using. Becoming abstinent reduces the tolerance to drugs that people build up during addiction, which leaves them at greater risk of overdose from the same amount of drugs that they formerly took safely. The third period of high risk is middle age. Indeed, according to the CDC [PDF], the largest proportion of overdoses occurs among people ages 45-54, with the second largest group at ages 35-44. Men are more likely to die than women, however: two-thirds of overdose deaths occur in men, reflecting the higher prevalence of addiction in males. Houston’s death stands out in that — so far, at least — it does not seem to have been associated with prescription opioid painkillers, which are found in 40% of overdose victims. Most overdoses involve some combination of sedative drugs other than opioids, including alcohol and benzodiazepines like Valium (diazepam) and Xanax (alprazolam). Prescription drugs said to have been found in bottles in Houston’s hotel room include Xanax, Valium and Ativan (lorazepam); all three are benzodiazepine antianxiety medications. Taken in combination with one another — especially with alcohol on top — these drugs can be fatal. They can leave people vulnerable to drowning in shallow water (as in the bathtub where Houston was found) or choking to death on vomit. There are some important ways to reduce the risk of overdose. Obviously, the first is not to take drugs to begin with, but for those who don’t heed that advice, it’s important to not mix drugs that have the same kind of effects, particularly not those that have a depressant or sedative effect, known as “downers.” Mixing stimulants like cocaine and amphetamine is also a bad idea, but it is less likely to result in death than combining drugs that slow or, at high doses, stop respiration. For overdoses involving opioids, the problem can be reversed with an antidote known as Narcan (naloxone) if caught quickly enough. The drug, which is safe and nonaddictive, is distributed at needle-exchange programs and other locations in some states (call 311 in New York City to find sites in the five boroughs), but most people still don’t know about it or have access to it. Few overdose victims have the talent of Whitney Houston. But while we mourn the loss of a legend who had great difficulty achieving recovery, we should consider how to prevent similar deaths. It is important to educate people who are at particular risk of overdose — such as those leaving treatment or prison — about the tolerance effect, the danger of mixing sedatives and the existence of naloxone if relevant. Making naloxone available over the counter also could make a real difference in reducing death rates. Addiction is often chronic and marked by relapse. But overdose ends all hope of recovery. Chronic pain refers to pain that lasts longer than would be expected for a particular injury, disease, or syndrome. In some cases, the cause of chronic pain cannot be satisfactorily treated or removed. Estimates by the American Chronic Pain Association (ACPA) project that one-third of Americans suffer from some type of chronic pain condition. Furthermore, chronic pain is credited with being the primary cause of disability in this country. Despite the prevalence of chronic pain as a public health issue, many mental health professionals have limited knowledge about the assessment and management of pain. Some clients, as well as clinicians, believe that use of narcotic pain medications to treat certain pain syndromes leads to addiction. This belief contradicts findings suggesting the actual risk of iatragenic addiction to opiate medication for pain patients is more likely to be less than one percent. However, fear of addiction may cause some individuals to endure inadequately treated pain and accept a significant loss of quality of life. Bostrom reported survey findings that ninety-two percent of respondents believe pain is a fact of life; that eighty-two percent believe it is too easy to become reliant on pain medication; that seventy- two percent believe that medication will not be effective with consistent use, and that forty-six percent avoid medication until pain becomes unbearable. Accordingly, it is important for mental health practitioners to assess pain in their clients, understand actual risk factors for misuse of common drug therapies for pain, and identify appropriate interventions for pain management as a priority. This 3-hour online continuing education (CE) course, Assessing Substance Abuse in Patients with Chronic Pain, will demystify the diagnosis and treatment of chronic pain, the role and limitations of pain medications, and how to identify when pain relieving drugs may be harmful to clients. Participants will understand how to conduct a complete evaluation of clients with a pain disorder, chronic pain syndrome and co-morbid psychiatric diagnoses. Although the majority of chronic pain patients do not abuse pain medications, mental health practitioners need skills to assess when active substance abuse is present and develop appropriate treatment objectives. This course will also give special attention to specific clinical challenges for mental health professionals who treat clients with chronic pain, including suicide assessment and treatment non-adherence.